Prezentare (Ukulele). 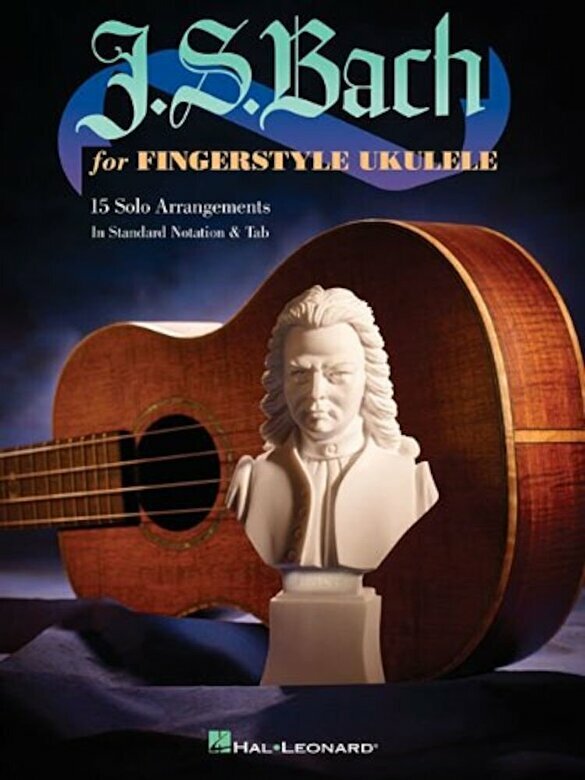 15 solo ukulele arrangements in standard notes and tab of J.S. Bach works: Arioso * Be Thou with Me * Bourree * Chorale in C Major, BWV 514 * Jesu, Joy of Man's Desiring * Little Prelude No. 2 in C Major * Minuet in G * Minuet 1, BWV 813 * Musette in D Major * Prelude (Cello Suite No. 1) * Prelude in C Major * Quia Respexit * Sheep May Safely Graze * Sleepers, Awake (Wachet Auf) * Violin Partita No. 1, BWV 1002 ``Tempo Di Bourree.